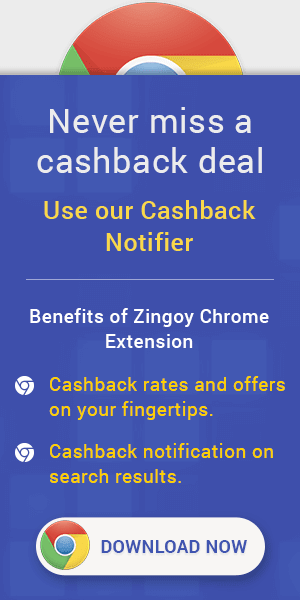 JetAirways Flights Cashback Offers & Coupons : Up to 30% discount is applicable on base fare in Première and Economy on select flights within India and on flights from India across our international network. Applicable on one way and return journeys on flights operated by Jet Airways. Enjoy our amazing in-flight services on your next Goa Flight, whether flying Première or Economy. Get the best deals on flights to your favourite destinations whenever you book flights on our website or mobile app. Why pay more when you have the top deals to choose from, every month? Maharashtra’s cultural capital Pune, known as Queen of the Deccan, is one of the most developed cities in India. The city ranks high in the fields of education, IT and automobiles production. It is a city in which its rich historical past blends seamlessly with a growing technology industry. Fly to Pune with Jet Airways to enjoy a superior in-flight experience. Now book Flights to Mumbai (BOM) from INR 1,028 Only. JetPrivilege members can avail the following benefits like JPMiles on every booking with us, complimentary lounge access and book an early flight with JetAdvance feature. Now Book Flights to Dubai (DXB) from INR 18,085 Only. Get the top deals on your next flight to Dubai when you log on to our website or mobile app. Now book Flights to Delhi (DEL) from INR 1,200 Only. Delhi, the capital of India is a magnificent city bustling with life and colour. Shaped by the influence of its previous rulers, no one can ignore the charm it casts on its visitors. Book your trip with Jet Airways to enjoy the best deals on flights to Delhi. Now book Flights to Paris (CDG) from INR 37,534 Only. Paris, the capital of France, is considered to be one of the most beautiful cities in Europe. A global centre for art and culture, Paris is full of landmarks such as the Eiffel Tower and the gothic Notre-Dame Cathedral. Travel to Paris via Jet Airways and enjoy in-flight entertainments that include JetScreen, an audio-video entertainment system. Now book Flights to London (LHR) from INR 38,412 Only. One of the most visited cities in Europe and the capital of England, London is a leading global city that attracts millions of tourists throughout the year. There are over 700 museums and art galleries in the city and around 250 music festivals every year. Book your trip with Jet Airways and enjoy the best deals on flights to London. Now book Flights to Ahmedabad (AMD) from INR 1,198 Only. Ahmedabad is often described as the city of grand monuments, amazing museums and gorgeous lakes. It is also the largest city in Gujarat and houses a dynamic business culture. Here, you can experience the rich taste of Gujarati culture and cuisine and enjoy its many cosmopolitan streaks. Book a flight to Ahmedabad and enjoy the best deals, complimentary in-flight dining and warm service with Jet Airways. Now book Flights to Hyderabad (HYD) from INR 1,294 only. Get top deals and fly with us on Hyderabad flights. Have an amazing experience on your flight to Hyderabad. Now book Flights to Kolkata (CCU) from Rs.1449 only. The capital of West Bengal, Kolkata, is a highly attractive tourist destination. The city holds great religious, historical and archaeological importance and has plenty of beautiful and aesthetically pleasing parks. Book your flight to Kolkata with Jet Airways today to enjoy easy web and mobile check-in services. Now book Flights to Chennai (MAA) from INR 1,057 only. Discover incredible deals on flights to Chennai on our website and mobile app. Why pay more when you have the top deals to choose from every month. Now Book Flights to Amsterdam (AMS) from INR 34,085 only. The capital city of the Netherlands, Amsterdam is known for its chilled out cafe culture, beautiful canals and legendary nightlife. It is an exciting city that caters to all tastes, with a vibrant history and art scene. Book your Amsterdam flight with Jet Airways and take care of all your travel needs through the easy-to-use website. JetAirways Flights Sale : Now book Flights to Bangalore (BLR) from INR 1,103 only. Travel to Bengaluru to enjoy its bustling city life, amazing gardens, parks and natural lakes. The city enjoys mild, refreshing weather. It is also the gateway to some wonderful locations like Coorg. Get the best deals on flights to Bengaluru in Première (Business Class) and Economy with Jet Airways . JetAirways Flights Offer Codes : Book Flights to Hong Kong (HKG) from INR 23,308 only. As far as tourism in Asia is concerned, Hong Kong competes with the best. This once-British colony is a splendid blend of cultures, people and wonderful hospitability, with a unique ambience. Flights to Hong Kong are available on Jet Airways and JetMobile app makes it easy for you to check-in. JetAirways Flights Coupons : Flights to Bangkok (BKK) from INR 17,817 only. The capital city of Thailand, Bangkok is famous for its energetic culture and vibrant nightlife. An electric city, Bangkok attracts visitors from far and wide. Enjoy great entertainment, delicious food, spacious seating and friendly service when you fly to Bangkok with Jet Airways. JetAirways Flights Offers : Get incredible fares on flights to Singapore. Have a memorable journey when you travel to Singapore. Book flights from our website or mobile apps to Singapore and enjoy the benefits.